Forget all those in-vogue hair colour trends from 2018. 2019 is actually about ditching the dye altogether and going grey naturally. 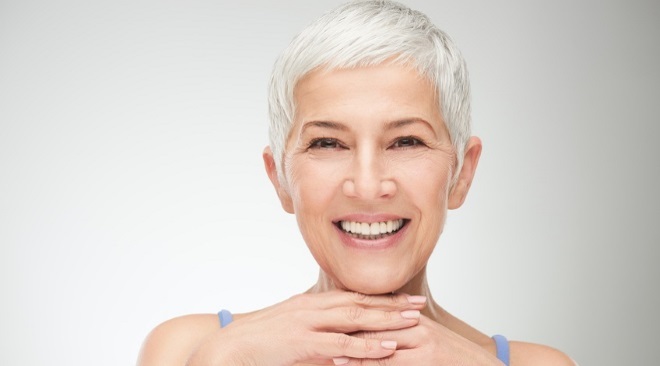 At long last it seems that women don’t have to dread their first grey hairs and defy the signs of ageing. Instead, women can finally allow their greys to peek through and embrace their hair colour changing gradually to grey as they get older. Let’s face it, there’s nothing wrong with grey hair anyway. At least, where men are concerned anyway. Whether men have peppered hair or a full head of grey, going grey is an acceptable reality and men often get labelled “silver fox”, denoting maturity and attractiveness. In other words, they’re considered to get better with age. The same hasn’t always been thought true of women. Until grey hair dye stole onto the fashion scene a couple of years ago, that is. It’s a trend going nowhere fast because there are thousands of people looking for “grey hair” tips via search engines every month. As a result, grey hair is still making regular appearances on the red carpet and catwalk. Celebrities the world over are going platinum, making shades of white, pewter, steel and silver all the rage. Think Kim Kardashian, Pink, Rita Ora, Lady Gaga and myriad other A-listers. With bottle grey so popular, another contributing factor to the trending positivity towards God-given greys is Clairol’s recent beauty campaign titled “Face your first”. A brave stance for a hair product supplier, Clairol urged women not to let society shame them for strands of grey in their hair but instead face their first greys with confidence. The ultimate message being whatever you choose to do – go grey, cover your roots or dye your hair bright pink – own it! When you bear in mind the average British woman will discover her first greys before the age of 25, it’s a relief for women to show off their greys rather than resolving to cover up for all eternity. Why deny something as natural as your hair? Love your follicles for what they are, whatever their colour. If you’re not quite ready to take the grey hair plunge and choose to colour your hair, ensure only the best products are used, select a reputable salon colourist and insist on pre-dye testing. If anything goes wrong and you suffer harm to your hair or scalp, we can help. Our legal team specialises in claims against hairdressers and do their utmost to secure the compensation deserved for your injuries. Email enquiries@hairdressingclaims.co.uk, call 0800 970 9102 from a landline for free, phone 0333 202 6560 from a mobile or complete our online enquiry form. Next PostNext Is your hair vegan?